Traccar is a self-hosted and completely free and open-source GPS tracking system. It also includes a web-interface which allows users to view and configure devices online. The server version is written in Java, and can be used across most operating systems. There is also ongoing support to continue adding new devices as they are released onto the market. When looking more closely at Traccar, we can see that it is a complete GPS tracking server setup. Also, it should be noted that there are no hosted options available at this time, which means that those looking to use this platform must be technologically savvy, have a support team, or outsource the hosting to a third party provider. 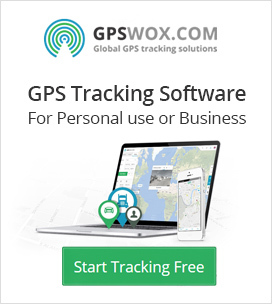 While not a total deal breaker, this is something to consider when looking to set up a private GPS tracking software. This also means that there is no direct support from the company if an issue arises, and you are reliant on you own team or a third party to maintain and upgrade your server as necessary. For those willing to take the plunge into a self-hosted only option, Traccar does provide some great functionality for those looking to get into the business of asset tracking. It’s user interface is easy to use, but the downfall in that is also that it’s functionality can be limited at times and leaves users wanting more. A company that I have found that seems to balance ease of use, yet still retains optimum functionality would be navixy.com. There are also some other providers such as GPS Gate which seem to come close to striking this balance in some areas, but are often priced much higher and are still somewhat frustrating to use. As far as hardware supports goes, Traccar does seem to offer support for over 110 protocols which is quite a good number, but is also quite standard in today’s industry. But everything aside, it is still helpful to have that much support in way of hardware. By having support for so many devices, users and those running a GPS tracking business can track almost anything they desire, which opens up a whole new gateway for asset management. Another point that I’d like to mention is the lack of customer support with the Traccar platform. The only type of customer support which seems to be available is by email. This means that if there are any pressing issues, it could take days to resolve them. While it is understandable to have it this way, because this is after all a free/open source program, it’s something to take into consideration when using a service like this that people rely on every minute of the day to tell them the exact location and status of their assets. Overall the Traccar platform may be a good fit for individual and small businesses to keep track of their assets, but the lack of customer service and the amount of attention required to maintain such a setup is a serious drawback. If someone was to start a GPS tracking business and base it off this platform, I would highly recommend having a skilled IT team and maintaining the resources to handle any issue as soon as it arises. One good thing about Traccar is that it is completely free to use (no license required) but there still is the cost of having your own support team and customer service, which takes away from the overall value. With that being said, in summary, Traccar in my opinion is for those with a strong technical background and support team. For those who want a more “turn-key” experience, other companies such as GPSWOX, Navixy can provide hosting, 24/7 customer support as well as an easy to use software interface.